I was in Jaisalmer Fort with guide, who was telling me the glorious past of this fort.A question flashed in my mind and asked him “Jaisalmer is situated in Thar Desert. Is there any legendary love story “He promptly replied yes there is a story of Moomal andRano.Wow: I got a new story to share with readers, my friends. So I am posting this legendary love story of Moomal and Rano , as narrated by the guide.This story is of that time when the great India was one subcontinent.It dates back to sixteenth century.During that period this area was known as Sindh province, the two cities “UMER KOT’ now in PAKISTAN and; JAISALMER” in INDIA. 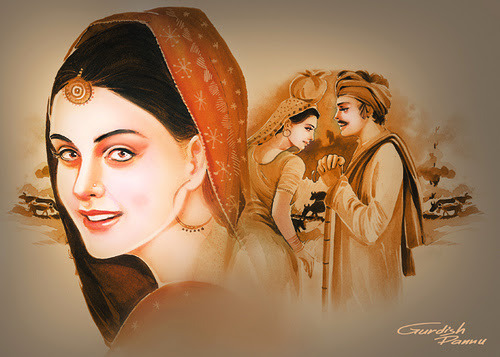 In India it is called a love story of Rajasthan, in Pakistan it is known as a love story of Sindh. Rano is now sung during mehfils of Pakistan. 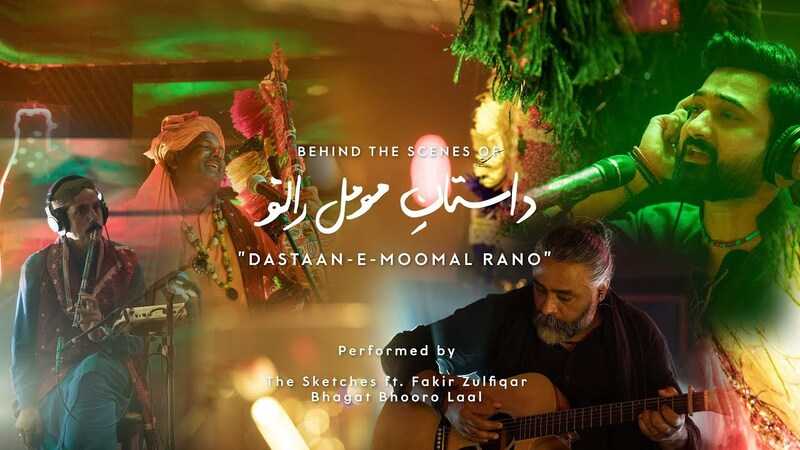 It is most frequently requested musical piece in a mehfil of kafi genre. Shah Abdul Latif Bhittai (1689 – 1752).A noted Sindhi Sufi scholar, mystic, saint, and poet, widely considered to be the greatest Muslim poet of the Sindhi language.He has also compiled love story of Mumal and Ranoin his collection of poems” Shah Jo Risalo”-- or Poetry of Shah. This is one of the most popular tragic romances from Sindh, Pakistan. Introduction of main characters of this story. 1. 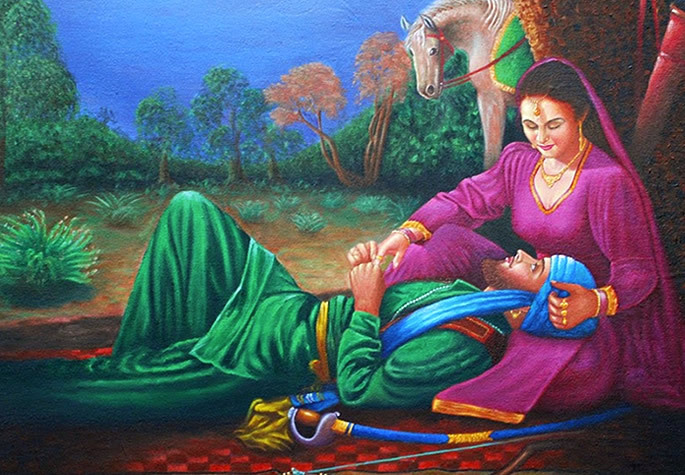 Moomal Rathore:--She was a legendary gorgeous and intelligent princess. Living in Kak Palace, weaved on a web of magic. Built in village Ludarva (Jaisalmer-India). 3. Soomal:-- Sister of moomal.Soomal was too beautiful but most cleavers. 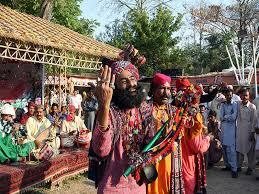 During sixteenth century in the Sukkar district of Sindh near Mirpur Mathelo (Now in Pakistan). Gujjar chieftains Nand used to rule over that area.He had nine daughters but amongst all Moomal was most beautiful and Soomal was most clever. 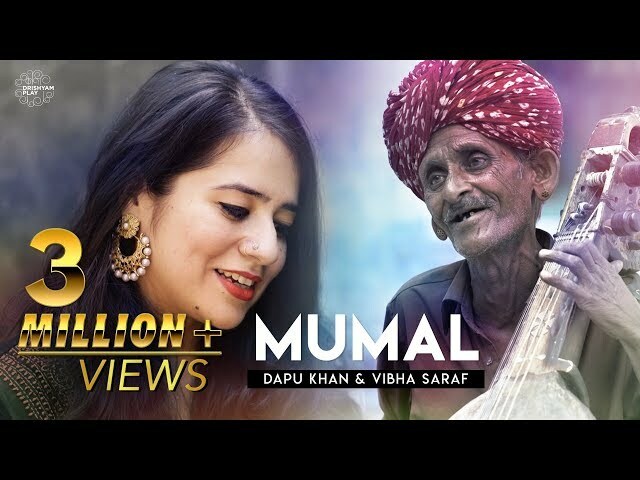 And Love Story Starts As-----Mumal was an extremely beautiful Rajput girl whose beauty and charms were famous not only in Jaisalmer but also far and wide. She wanted to marry someone who would win her heart with his bravery and intelligence. Mumal, along with her seven sisters and attendants would weave a web of magic in Kak Mahal to test them. Several kings and princes tried their luck but in vain. The reputation of this palace and of Mumal’s dazzling beauty soon became a legend. Once Rana Mahendra Sodha, the ruler of UmerKot in Sindh (now in Pakistan), reached the banks of the river while hunting. He too was attracted by the magical Kak. From the window of her palace Mumal saw Mahendra and his friend resting by the river bank, so she sent water and some refreshments for them. She invited them to rest in the palace till next morning. Like others, Mahendra also had to cross the labyrinths and other hurdles to reach the palace. He was an intelligent and courageous man which led him to succeed in reaching the palace, unharmed. Mumal was very impressed and decided to accept him as her consort. Mahendra spent the night at the palace and returned to Umer Kot in the morning. Eventually their love blossomed. Mahendra found a camel which was fast enough to cover long distance from Umer Kot to Kak & back in few hours. Each night Cheetal, the camel, used to take him to spend time with Mumal and they would return to Umer Kot by dawn. He could not keep his mind off Mumal and would keep humming “हाले नी मूमल म्हारी अमराणे रे देश” (Come with me to my Umer Kot, Oh Mumal). One day, when Mahendra’s family got to know of his love for Mumal, they ordered to break the legs of Cheetal. 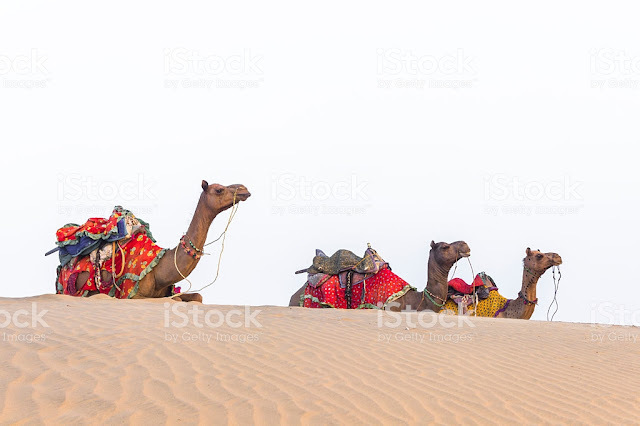 That night another camel was arranged for him by his friends. The camel was not as fast and experienced as Cheetal. Mahendra didn’t have any option and started his journey. After a while he whipped the camel in order to make her go fast. The camel started running. In the dark Mahendra couldn’t figure out the direction and the result was that he reached Barmer instead of Jaisalmer. At the same time at Medhi, Mumal kept waiting for Mahendra and started playing games with her sisters. One of her sisters Sumal dressed like a man. Time passed and they were tired and sleepy. Sumal slept in man’s attire with Mumal on her bed. At Barmer, on realizing his mistake, Mahendra raced towards Jaisalmer and when he reached Kak Mahal, he mistook Sumal as Mumal’s paramour. Disgusted, he left his riding cane besides Mumal’s bed and returned to Umer Kot. He was highly distraught that Mumal had cheated on him. 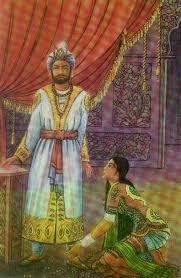 Mumal pleaded Mahendra to forgive her but he ignored her requests. To prove her innocence, Mumal set a fire and jumped in it. 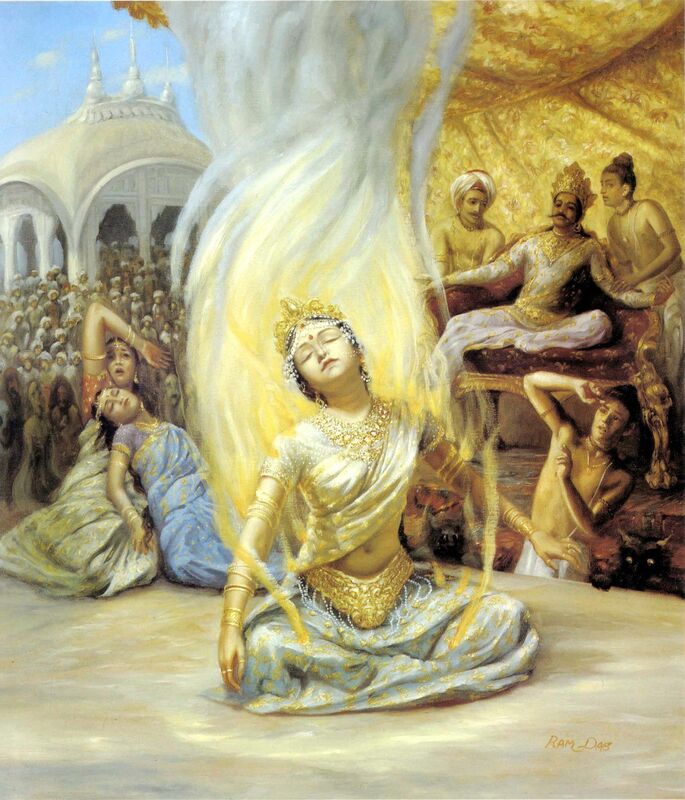 When Mahendra came to know of this, he rushed to the place where Mumal was already in flames; he joined her to be consumed by the fire along with Mumal. 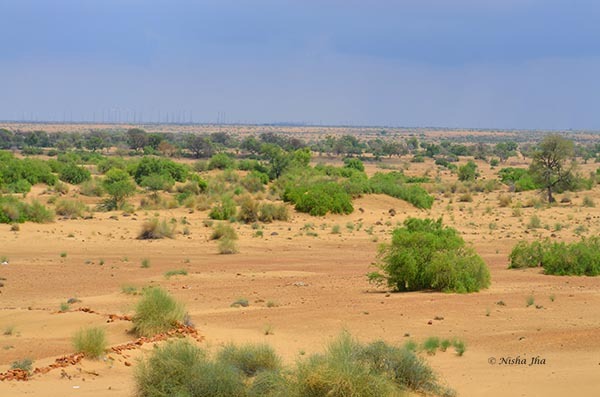 And that was the end of a fervent legendary love story of Mumal and Rano that blossomed in thar Deserts. It is said: Death does not kill love, nor do prisons prevent love! Posted by Engr Maqbool Akram with help of story available on net and photos are also from sources of net with thanks. Labels: Love Story of Mumal and Rano .